So sorry I didn't have time to visit everyone's photographs last week. I was slammed with work. As of yesterday all has returned to normal, so I'll be reading blogs again. Beautiful! 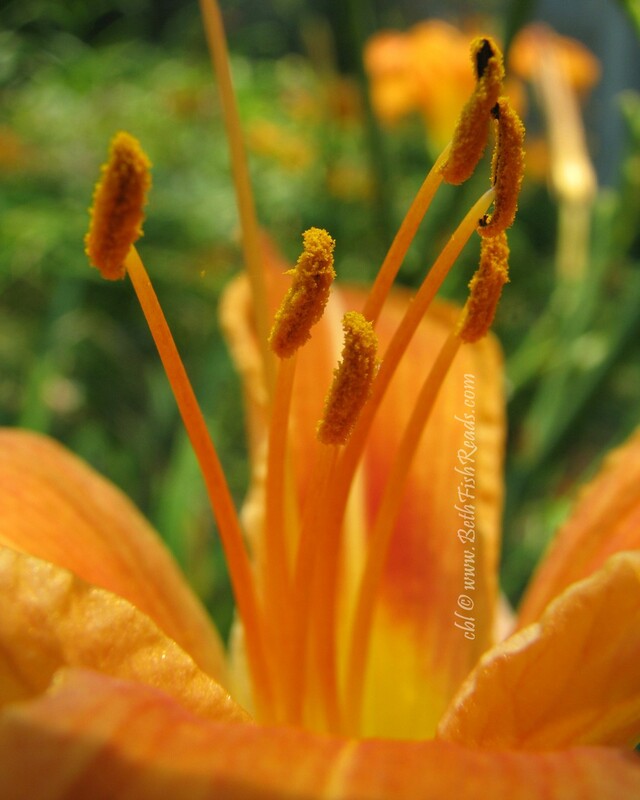 I love close shots on Day Lilies like this. The contrast with the green in the background is perfect. Love the focus in this. Nice close-up of the flower's interior. What lovely little pistils - Happy WW! great macro...it is so cool to look that close and see the things we usually miss. I love lilies. Pretty shot. I love the color and the detail in this picture. I bet it smelled lovely when you were up so close! Thanks for linking up w/w! Have a great wednesday! Beautiful! (And they're EDIBLE too)! Gorgeous! I love closeup of flowers, they fascinate me. Lovely. Such a beautiful color. I see we had the same idea this WW. Your shot is beautiful. I love the lilies. What a pretty color. Beautiful shot, I love the texture.